There are three mechanisms for the action of corrosion and scale inhibitors. Complexation solubilization, lattice distortion, and electrostatic repulsion. Complexation solubilization is the formation of a water-soluble complex or chelate with a negatively charged molecular chain and Ca2+. This molecular chain is formed by ionization of the copolymer after it is dissolved in water. This complexation can increase the solubility of the inorganic salt and thus act as a scale inhibition effect. The lattice distortion effect is to block and destroy the normal growth of the inorganic salt crystals by a part of the functional groups in the scale inhibitor molecule. This slows down the growth of the crystal. Thereby reducing the formation of salt scale. The electrostatic repulsion is like this. The copolymer is dissolved in water and adsorbed on the crystallites of the inorganic salt. The interparticle repulsion is then increased. Thereby hindering their coalescence. These particles are placed in a good dispersion state. Thereby preventing or reducing the formation of scale. There are many corrosion and scale inhibitors have these abilities. Such as ATMP, HEDP, and DTPMP, etc. The common classification methods are as follows. 1. Classification according to the suppressed electrode process. Classification of electrode reactions suppressed by electrochemical corrosion in accordance with corrosion and scale inhibitors. 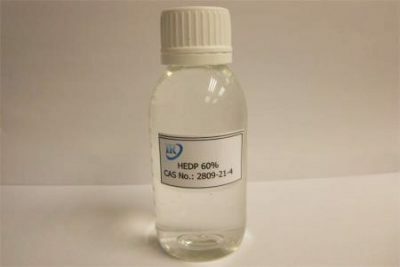 Can be divided into anode type scale inhibitor, cathode type scale inhibitor or mixed type scale inhibitor. The cathode type corrosion and scale inhibitor moves the corrosion potential Ec of the metal in a negative direction. The anode type corrosion and scale inhibitor moves the corrosion potential Ec of the metal in a positive direction. The mixed scale inhibitor has little effect on the corrosion potential Ec. Therefore, the movement of the corrosion potential is small or not moving. 2. Classification according to the type of protective film produced. According to the type of protective film formed by the corrosion and scale inhibitor in protecting the metal. Can be divided into passivation film type scale inhibitor, precipitation film type scale inhibitor and adsorption film type scale inhibitor. 3. Classification according to chemical composition. The substances constituting the corrosion and scale inhibitor are classified as inorganic compounds or organic compounds. Can be divided into inorganic scale inhibitors and organic scale inhibitors. Corrosion and scale inhibitors are mainly used for scale inhibition and corrosion inhibition of circulating cooling water. Mainly used in the following industries. 1. Thermal power plants. The power generation process of a thermal power plant is to heat water through coal in a boiler. Turn water into high-pressure steam. High-pressure steam drives the turbine to generate electricity. After power generation, the high-pressure steam becomes low-pressure steam. The low-pressure steam is returned to the boiler after being cooled by the circulating cooling water in the condenser to liquid water. 5. Oilfield production plant. At present, part of the oil produced in the oil field is oil, and the other part is water. After the oil and water are separated, the water is returned to the ground, which is called refilling water. If the refilling water is not added, it may cause fouling to block the corrosion of the pipeline or pipeline.